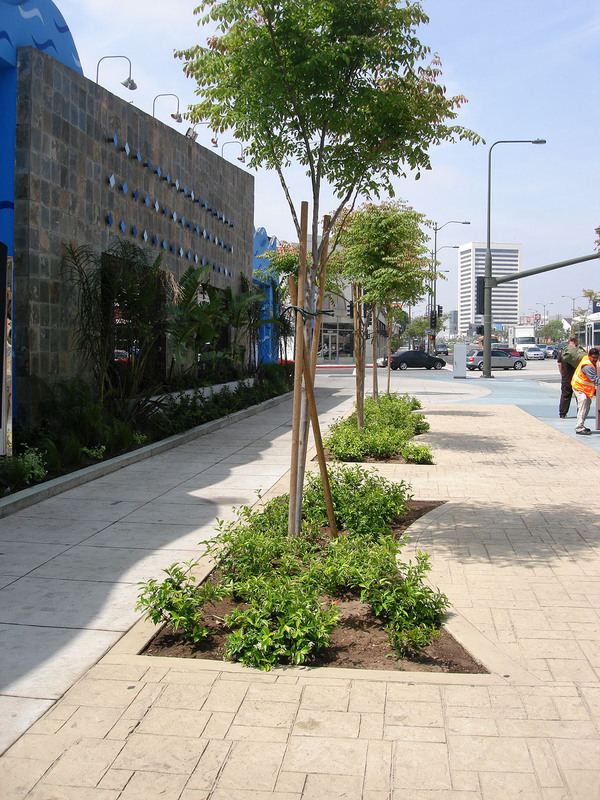 Gruen Associates was the Urban Designer and Landscape Architect on a multi-disciplinary team, studying ways to improve traffic flow, bus and pedestrian access, and the aesthetic character of “big” and “little” Santa Monica Boulevard (a major West Los Angeles thoroughfare). 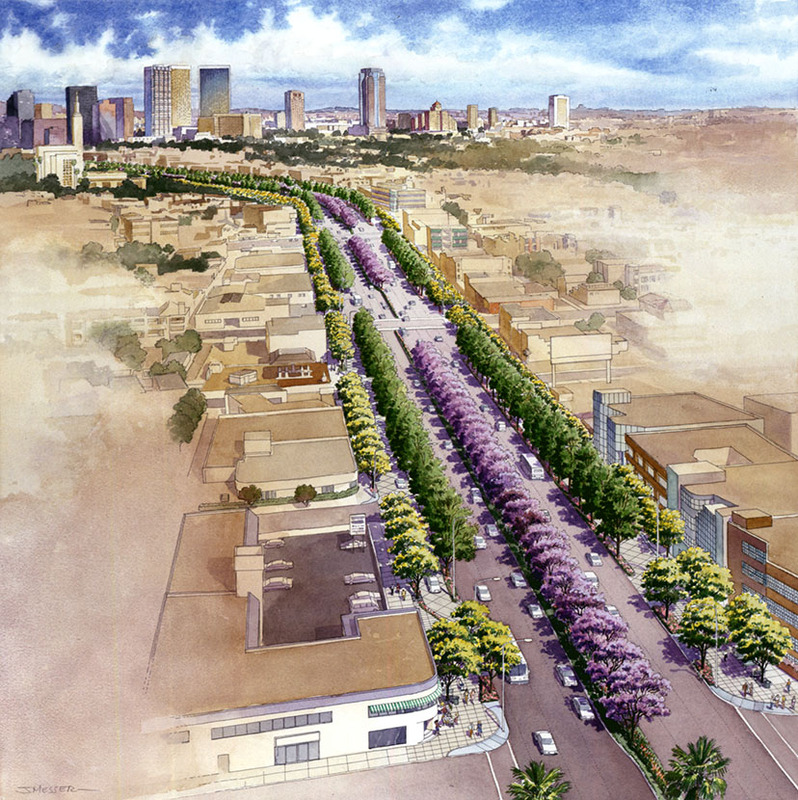 Gruen worked closely with local communities, Metro and City staff in developing designs to transform the neglected area into the premier “classic” grand boulevard. 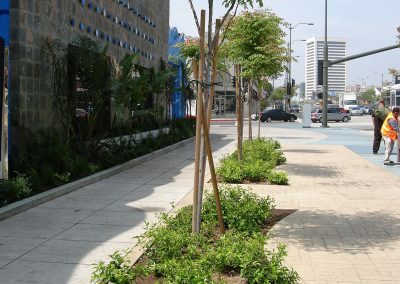 We suggested center and side medians, widening sidewalks for bus stations, the use of large specimen trees as a unifying element, flowering trees and shrubs for seasonal color, and low maintenance groundcover for medians. 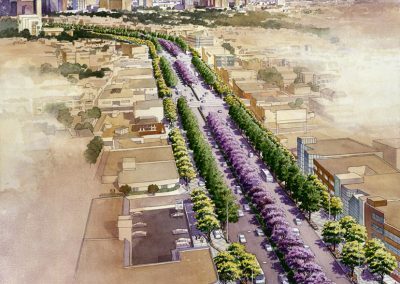 Elements included special sidewalk paving, intersection treatments, architectural and landscape treatment of retaining walls, and featuring the roadway’s heritage as part of historic Route 66 with decorative signs and sidewalk insets. Gruen worked with Metro’s selected artist and participated in numerous community meetings for consensus.